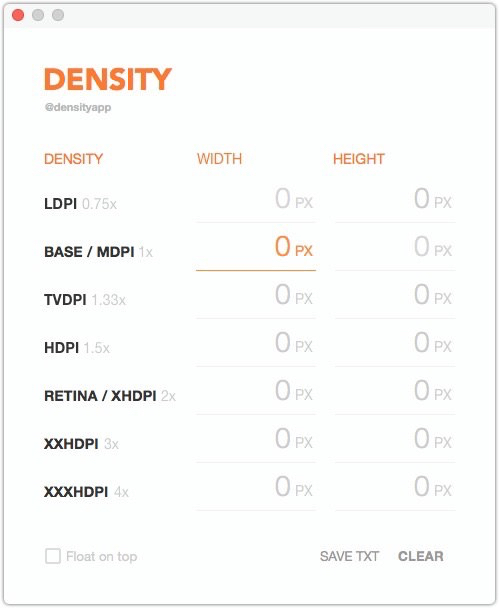 Density aims to take the pain out of being a developer or designer when it comes to calculating dimensions for screen sizes. 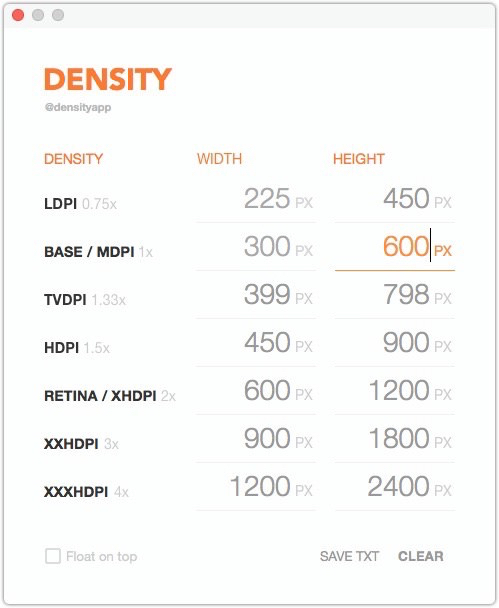 As I always say the best apps are often the most simplist and this is exactly where the Density Pixel Calculator comes in. 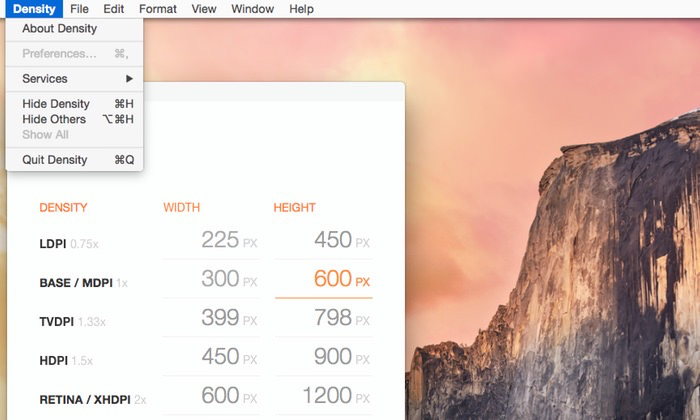 What you see is really what you are getting, even preferences up in the top menu bar is grayed out. One handy feature is the ability to export your calculations to a RTF file or float the program, keeping it above all windows all of the time. Nice touches to a program making it even handier. Density – Pixel Calculator – Pedro Vieira is a paltry £0.79 ($0.99) from the Mac App Store.